Breaks between lessons - It is possible for you to take a break from your English lessons but it is recommended that you maintain a regular routine to ensure you progress as quickly as possible. Being late for lessons - You must be on time for your lessons. I will wait for a maximum of fifteen minutes for you to come to your class. If you haven't arrived within this time, your lesson is cancelled and you will lose this lesson. 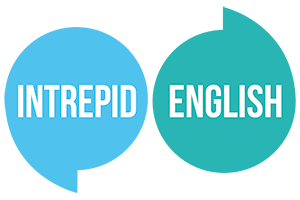 If you have a technical problem with your computer or software, please send an email to lorraine@intrepidenglish.co.uk. Please note that this rule applies even if you have a technical problem with your internet connection or your computer, and also if you have personal problems. Cancellation of lessons - If you wish to cancel your lesson you must do this 24 hours before the start of the lesson. If you do not inform me more than 24 hours before your lesson is due to start, you will lose this lesson. Finishing the lesson early - If you need to finish the lesson early, this remaining time cannot be automatically added to future lessons. Cancellation by teacher - Your teacher will always be available for the English lessons unless there is an unforeseen situation, such as a problem with my internet connection. In such circumstances, your teacher will inform you by email or Skype Instant Message. That lesson will, of course, be postponed to a later date at no cost to you. Refunds - When you purchase lessons, you enter into a contract with me that you will complete the prescribed amount of lessons and therefore, if you change your mind at a later date, you will be in breach of the contract and cannot receive a refund. If you would like to transfer the remaining lessons to a friend, please see point 7 below. Transferring lessons to another person - If you cannot attend the English course any longer and wish to transfer your remaining lessons to another person, the new student must have a free trial lesson before the lessons can be transferred to them. Study environment - Please ensure that the environment in which you are taking your lessons allows you to fully concentrate. It is very hard for you to concentrate when you are distracted and therefore the lesson becomes ineffective. Recording lessons - We will always ask for your permission before doing recording any part of your English lesson. Lesson bundles - You have 365 days from the date you purchase your lesson bundle to redeem your coupons. I will send you a reminder shortly before your coupons are due to expire. If you have not redeemed any of the coupon codes within this period of time, you will not be entitled to a refund.